Greece’s own incredible silk road began in a Thracian city called Soufli. A new effort aims to not only promote its history but also the silk industry’s comeback. Soufli was once the only pre-industrial silk producing European city. It proudly produced some of the finest silks in the world that were said to be in the same class and some argue even better than Chinese silk. Recently, there has been a movement to revive the “forgotten” skill of silk making. Today, more people are looking to bring Greece’s silks of such fine quality and unique texture, back to the forefront of fashion and industry. Around 550 AD, it was said that two monks who just visited China brought back silk tree seeds, which were the leaves silkworms fed off of. Soufli, then part of the Byzantine Empire, was the first town in the western world to take this strange seed and create beautiful silks. As a result, Soufli prospered in a newfound industry. Locals perfected silk tree growing, silkworm breeding and silk textile production. 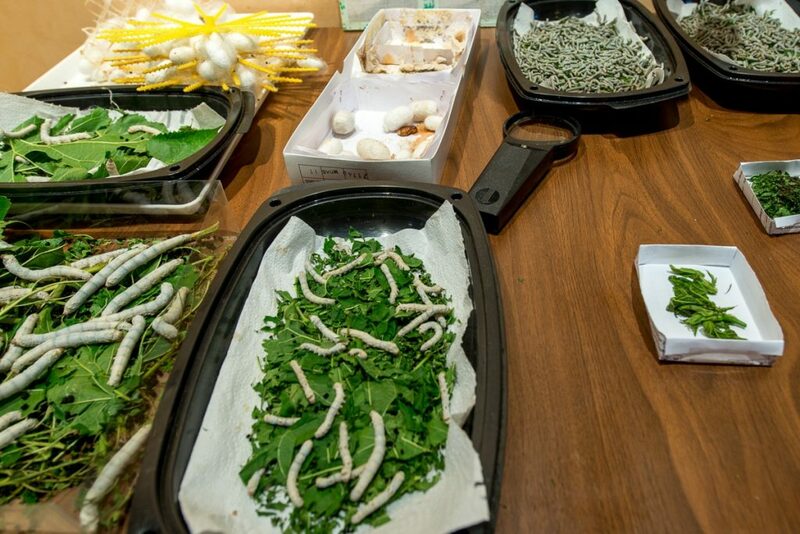 They reared silkworms, processing the yarn taken from their cocoons. These first families who took on the craft couldn’t have foreseen the impact of their work. By the end of the 19th century, local expertise, knowledge and modernized production had transformed Soufli into the silk capital of the Balkans. The town’s precious silks were exported across Europe. Silk was the town’s main source of income up until the 1980s. By the 1990s, however, things changed. Cheaper Chinese silk won in the market followed by the collapses and failures of the Greek textile industry. The Tsiakiris, Mouchtaridis and Sardanidis families have the last remaining silk factories in Soufli, employing dozens of people. 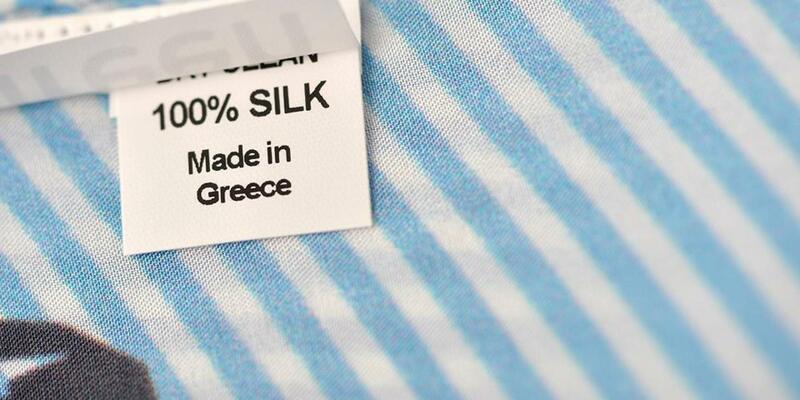 Several Greek brands and designers, including Zeus+Dione, Eireen and Orsalia Parthenis, have supported the industry by partnering to create clothing with Greek silk. The appreciation for Greek’s silk road goes even further. Understanding that today’s technology is still no match for the skill and handiwork of dedicated local silk makers, a movement has been growing through the Cryssalida Association. This unique network of young fashion professionals aim to revive the local industry through awareness and events. Exploring Soufli today is one way to truly understand the story of the silk road in Greece. 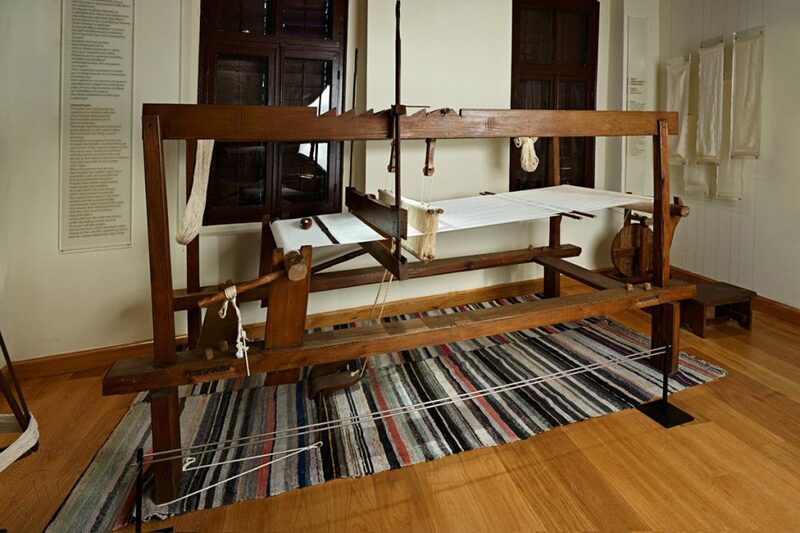 The Silk Museum, which is a part of the Museum Network of the Piraeus Bank Group Cultural Foundation (PIOP), offers a glimpse into this world of European silk creation from start to finish. 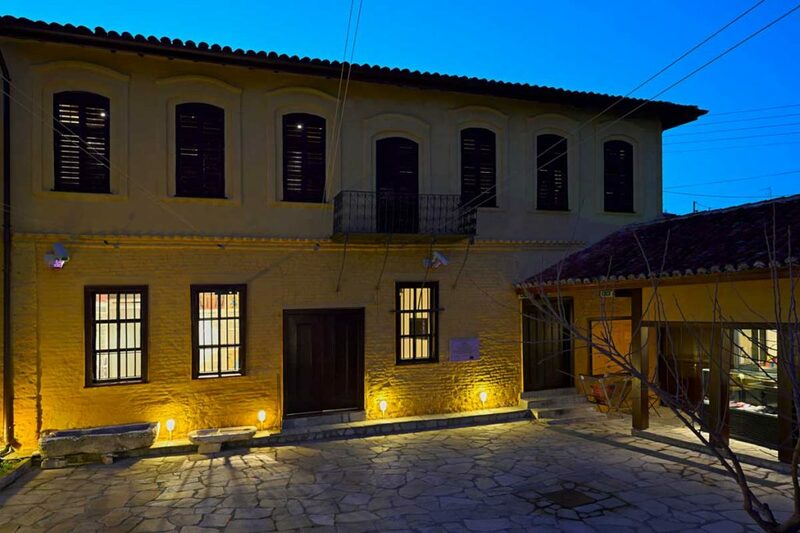 Housed in the late 19th-century Kourtidis Mansion, it opened in 1990 with a permanent exhibition showing the pre-industrial methods of sericulture which is the of rearing of silk worms, silk processing and silk manufacturing. 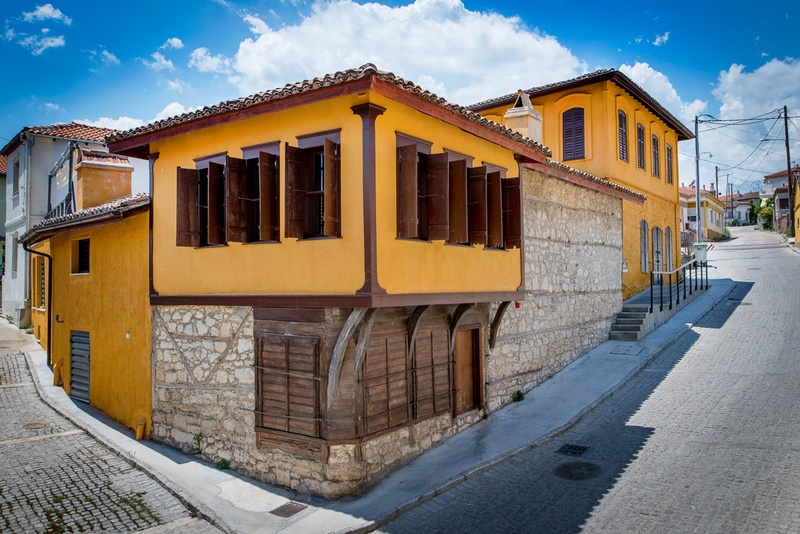 Another local museum called the Art of Silk Museum is run by the Tsiakiris Family Silkmills. It offers a full look into the world of sericulture as well as the industrial side of silk manufacturing and weaving. Just walking through the streets of Soufli opens up another understanding of the town’s storied silk roots. High ceilinged homes called koukoulospita still stand, once built so the upper floors could house silk worms and their cocoons. In a different way, the story of Greece’s silk road and the Soufli silk trade continues. 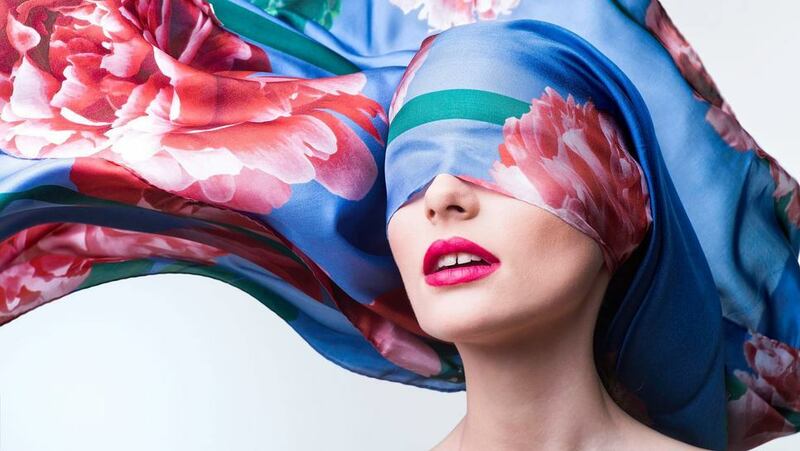 Quality silk, with its fine feel and classic look, will always create beautiful accessories and fine clothes. Do you have any favorite clothing in your wardrobe made from quality silk? Tell us about it.